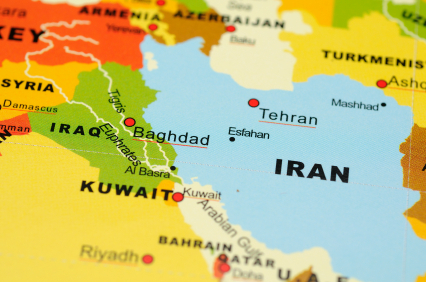 Iran is an important country because it has some of the largest oil reserves in the world and it sits in a strategic position between Northeastern Asia, Western Asia and North Africa. Iran borders the Caspian Sea, the Persian Gulf and the Arabic Sea. Iran is a large country, with intimidating mountain ranges, barren deserts and dense forests. Cheetahs and other large cats once roamed here, although many are now rare or even extinct. Iran – previously Persia – includes some of the oldest civilizations on Earth. The city, Susa, was built over 5,000 years ago. Over the centuries, the country has been invaded and conquered by many groups, including Persians, Greeks, Great Britain and Russia. In 1921, a Persian army officer took control and ousted foreign control. He became the first “shah” and changed the country’s name to Iran. Since 1979, religious leaders known as mullahs have ruled Iran. 74. 8 million people live in Iran. The country has 636,296 square miles of land. Most people in Iran are Shia Muslim. The official language is Farsi. The life expectancy in Iran is 71 years. Visit National Geographic Kids to learn more about Iran. Question: What is Iran’s culture like? Answer: Iranians are deeply religious people. The country also has a long tradition of art, literature, music and scholarship. An Iranian first developed algebraic theories. Declan, Tobin. " Fun Iran facts for kids ." Easy Science for Kids, Apr 2019. Web. 21 Apr 2019. < https://easyscienceforkids.com/iran/ >.